From the hills and hollows of Virginia’s Appalachian Mountains come The Whitetop Mountaineers, returning to Australia for their 6th National tour. As in their home region, Martha Spencer & Jackson Cunningham are well-known and much-loved in this country. They have a host of communities looking forward to hearing their authentic, faithful renditions of old country tunes again. 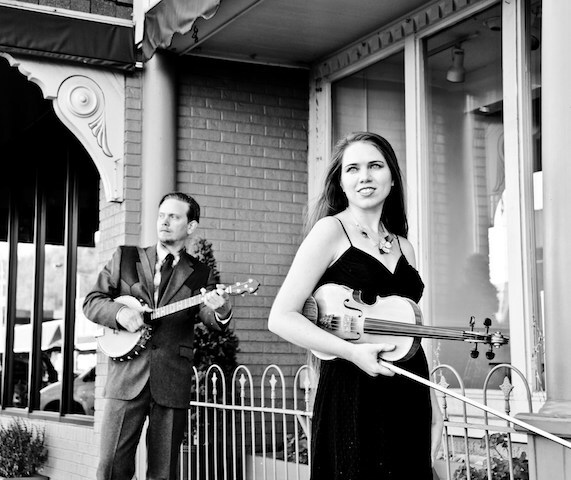 Sharing vocals as they swap between guitar & banjo, or sticking with their chosen specialties, fiddle & mandolin, this young ol’ timey couple are the real deal. If you’ve not caught them previously, be sure to catch a show as their 5 week tour takes in QLD, NSW, ACT, VIC & SA. If you know what you’re in for, you’ve probably booked already. 16th – 19th Jan – Illawarra Folk Festival, Bulli, NSW. 24th – 27th Jan – Newstead Live! Music Festival, Newstead, VIC. 28th Jan – Burrinja Café, Mountain Pickers Association, 351 Glenfern Rd., Upwey, VIC 03 9704 7573. 29th Jan – Yinnar Community Hotel, Yinnar, VIC – jwerner64@gmail.com. 30th Jan – Briagolong Hotel, Briagolong, Victoria gmgrose@gmail.com. 31st Jan – Harvester Moon Café, 2320 Portarlington Rd, Bellarine, VIC. 5th Feb – Northcote Social Club, 301 Northcote High St., Northcote North, VIC 1300 724 867. 7th Feb – Pilgrim Uniting Church, Adelaide, SA. 8th Feb – HATS Inc. The Courthouse Cultural Center, Vincent St., Auburn, SA.